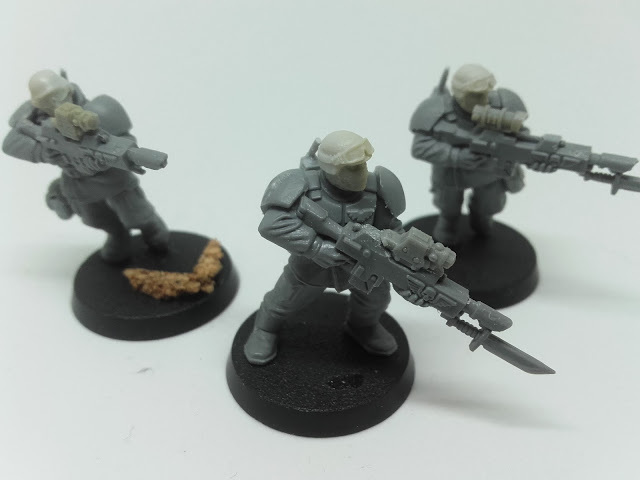 Part 2 of my commission piece, making 20 normal Cadian guardsmen into some special ops bad mofos. The plan is for two squads of ten. Each with a sarge and two grenade launchers. I am really happy with how these are coming along, the addition of the different heads and gun sights really changes the look. 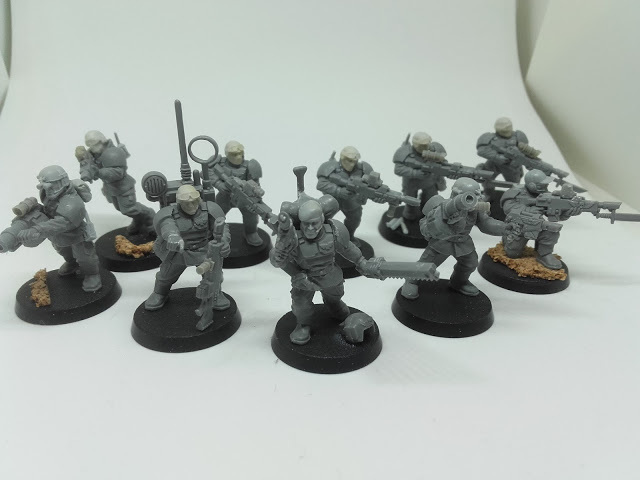 Cadian Spec Ops – the full squad. For part 1 of this go right over here. Starting off with the boys in the know, the Sarge and his right hand man and source of information, the comms officer. A beret just screams command doesn’t it? 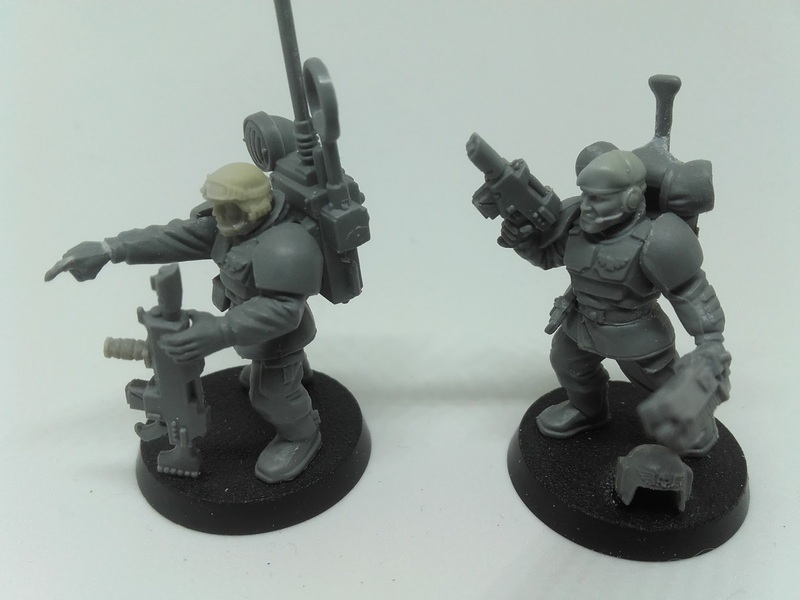 Cadian Spec Ops – the Sarge and communications specialist. 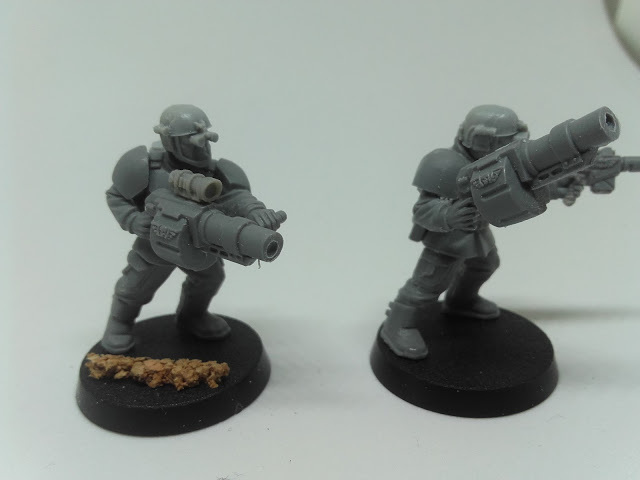 Ok for sheer fun factor I did scope a grenade launcher and gave the other one a pistol as a back up. 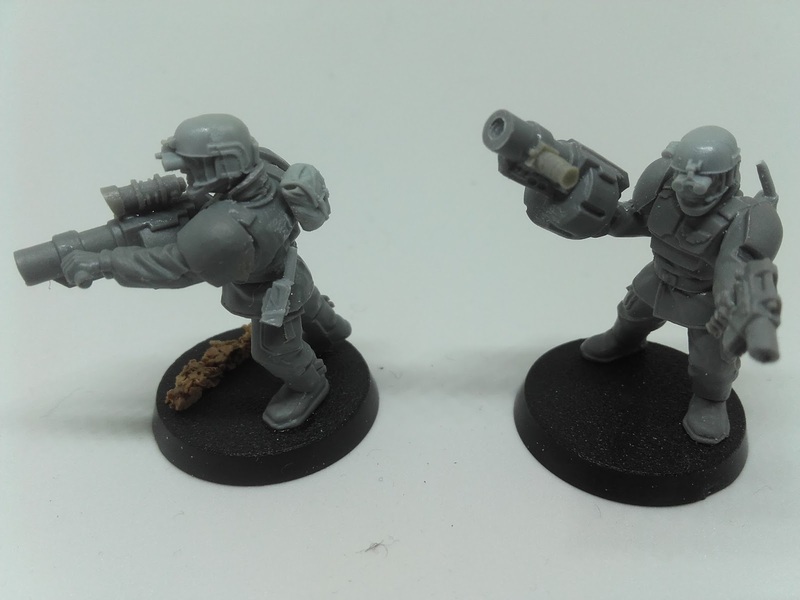 Cadian Spec Ops – the boomer brothers with their grenade launchers. I think the lasrifle troopers really show off were the addition of the 3rd party pieces. I had over 30 heads to choose from so the Cadians with their over sized helmets were out straight off. The selection of SWAT and ranger type heads gives a nice amount of variety, especially when paired with the different scope types across the squad. The bases are a lot more plain than I’d like to go with but the client likes them pretty plain so chilled they are. Cadian Spec Ops – lasrifle section one. 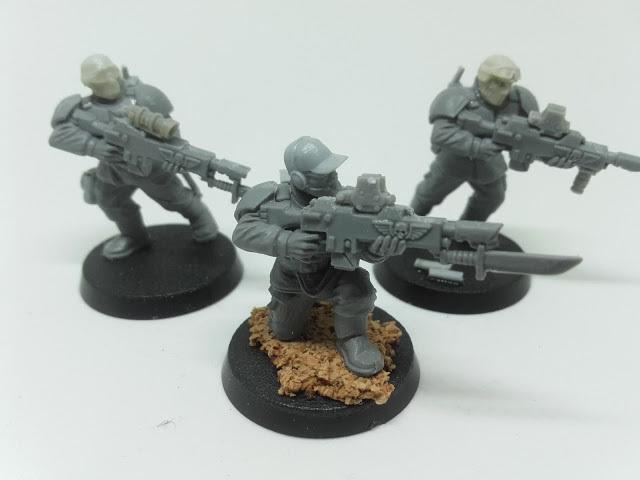 Cadian Spec Ops – lasrifle section two. Hoping to get some primer and paint on over the weekend. Let me know what you think so far. Also Stepping Between Games now has a Facebook Page to help track updates, please do sign up.